1/2 cup cornstarch & 3/4 cup cold water (combined) food colouring (optional) whisk; container or jar for storing your homemade glue; How to make your glue. In a small pot, stir together your water, syrup and vinegar. Place your pot on the stove and bring the liquid to a rolling boil over medium-high heat. While it�s coming to a boil, combine the cornstarch and cold water in a small bowl... Homemade glue recipe #3. 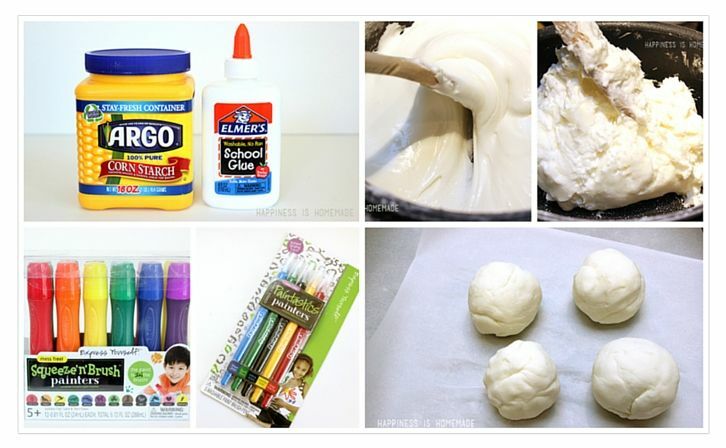 How about making cornstarch glue? All you need is cornstarch and water, and you can add in some food coloring and essential oils if you like. Let us know when you try out our recipe by leaving your feedback in the comments section. If you know of other recipes, feel free to use the comments section too. If you know of other recipes, feel free to use the comments section too.